With over 4 million searches every minute of every day, search engines are an important part of your customer’s journey. Being at the top of a search engine result page not only ensures a flood of traffic to your site for the right keywords, it anchors your brand as the market or thought-leader in your customer’s mind. Get in touch, and we’ll make sure you build your campaigns and pages on the right keyword insights. WANT TO DOMINATE SEARCH RANKINGS? 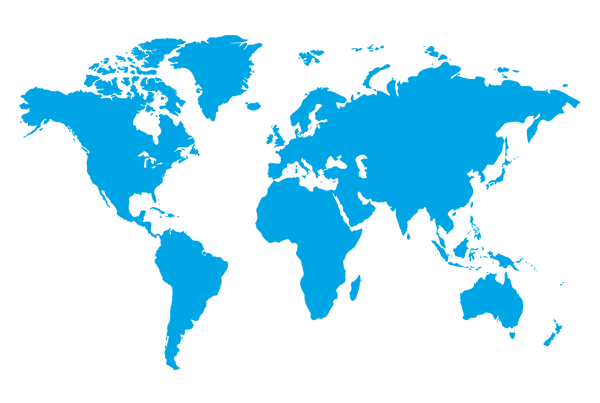 When your customers are global, your search engine’s dominance needs to be too. We know that the monetary value of each keyword in each language can be great. We specialise in running international SEO activities on a global scale, across Google, Bing, Yahoo! Baidu, Yandex and Naver. Leveraging our 4,000 strong global team, we’ll support your unique needs and challenges and deliver outstanding global SEO results. Whether you need a long-term project plan to maximise your search engine rankings in any market, or support on specific local market keyword research to link build, our global experts are on call to support your team’s specific SEO needs. We tackle SEO in a phased approach, designed to support your digital marketing roadmap. Speak to us about where you need support. Our experts audit your website globally. Each search engine is slightly different and we know how to maximise your visibility and search rankings in each market. The team identifies the intent behind the keywords. Knowing your audience behaviours allows us to map and optimise content to drive profitable user journeys. Once the foundation is laid, we build on valuable content that drives engagement and supercharges links, the currency of natural search engines. Because content is king, you’ll need a global marketing agency that knows words, and knows people. For maximum local search visibility, our copywriters craft copy that is not only accurate and on brand, but contains language we know your customers are using. We make sure your content is created with your audience’s search needs in mind. Keywords are intelligently introduced to your copy as our copywriters are SEO-savvy. An integrated approach to international SEO is crucial. Load-balancing, optimising and sharing learning across organic and paid search channels drives stronger results than a siloed strategy. Our international digital marketing team provides leading SEO, PPC, Social and CRO strategies, built on a deep understanding of your audience and shaped around your business goals. And by taking an integrated approach to your digital marketing, we achieve maximum market reach, cost efficiencies and increased ROI. Contact us today and let’s plan your international PPC success.